Tiffany was born and raised in rural Victoria, where she was one of the first Chinese girls in the local newspaper. She moved to the big city to study her degree of event management and marketing at Latrobe University, where, throughout her studies she completed exchange programs in Ecuador and Colombia. She then moved to Colombia to live full time, and through her own experience of applying for her Colombian partner to come to Australia on a partner visa she was inspired to become a registered migration agent. 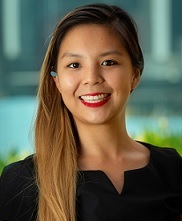 Tiffany is fluent in Cantonese and Spanish and is a registered migration agent.